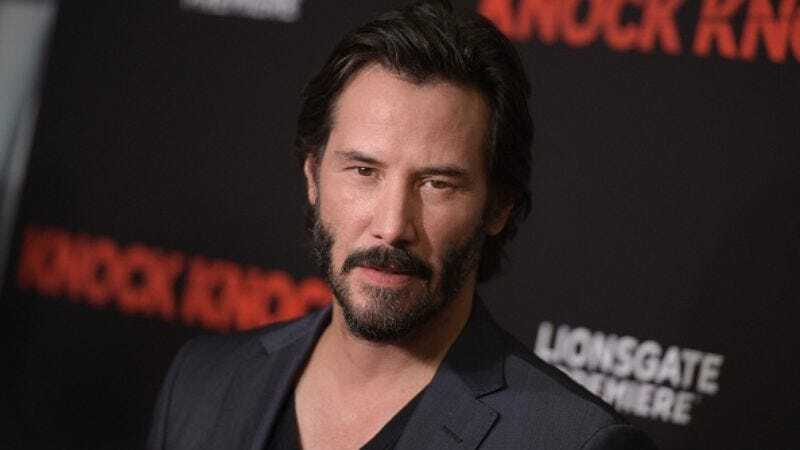 Keanu Reeves’ love affair with the printed word is by now well documented (he might even have been around during Gutenberg’s time, we don’t know). The John Wick actor has collaborated on two books with Alexandra Grant, and now The Los Angeles Times reports he’s ready to back a whole line of art books. Reeves and Grant have teamed up with Jessica Fleischman on X Artists’ Books, an independent press whose mission is to publish “unconventional, interdisciplinary and collaborative artists’ books,” like books of full memes and shadows. The three artists described their partnership to The Times, with Reeves consulting on the scripts, Grant acting as an interpreter who puts those words to canvas, and Fleischmann then somehow embodying those books. It’s an interesting creative process to say the least, but X Artists already has two titles—High Winds and The Artists Prison—which means somewhere, someone’s getting some writing done. At a recent promotional event, Reeves talked up the sense of creativity and community the press aims to foster. “All of that talent, passion, joy for books and for art, then to come back to the reader,” Reeves said, presumably while scanning the room for a sandwich.